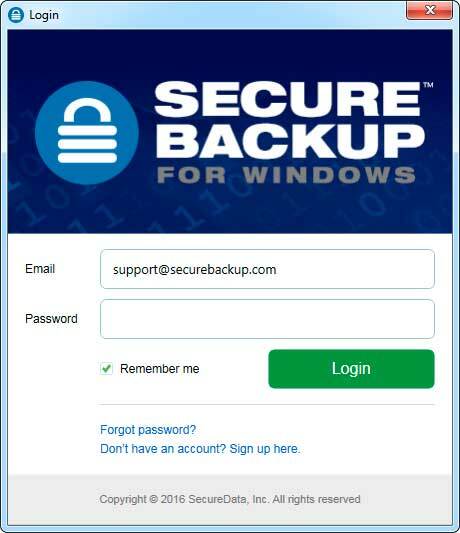 Users can open SecureBackup with their log in credentials. If users have forgotten their log in credentials, they can restore it through the Wizard. User can lock the application by clicking on the Lock button, next to Logout button. To unlock, user can open the application by entering the password.